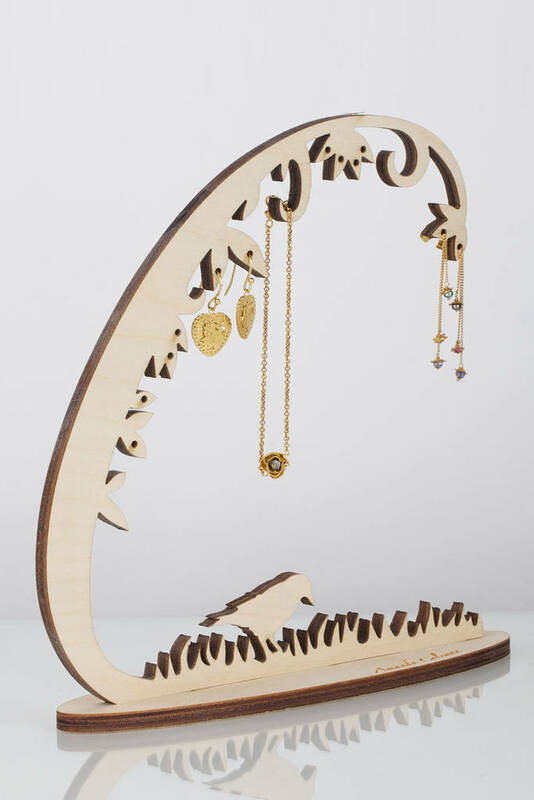 The stylish way to store and display your jewellery! 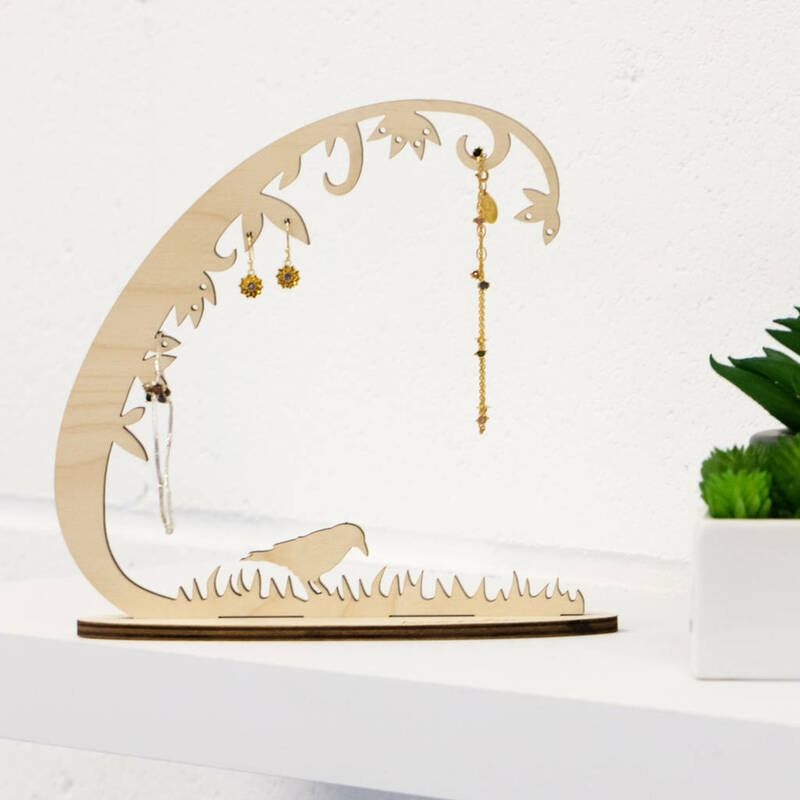 The Woodland Jewellery Stand features an array of hooks and holes from which to hang your jewellery, keeping it neat, tidy and looking gorgeous on your dressing table. 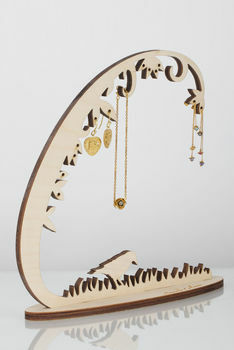 The jewellery stand is flat packed in attractive gift packaging with the top part simply slotting into the base. 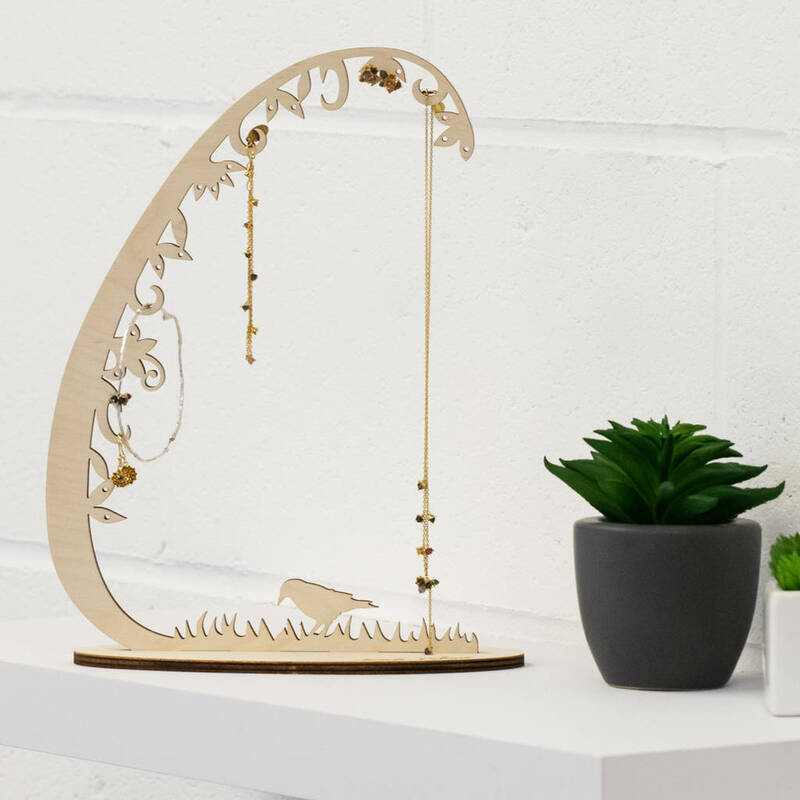 The stand is the perfect gift for any jewellery lover. This product is dispatched to you by Amanda Coleman.